Be aware that some of these maps are very large, and may take some time to download. 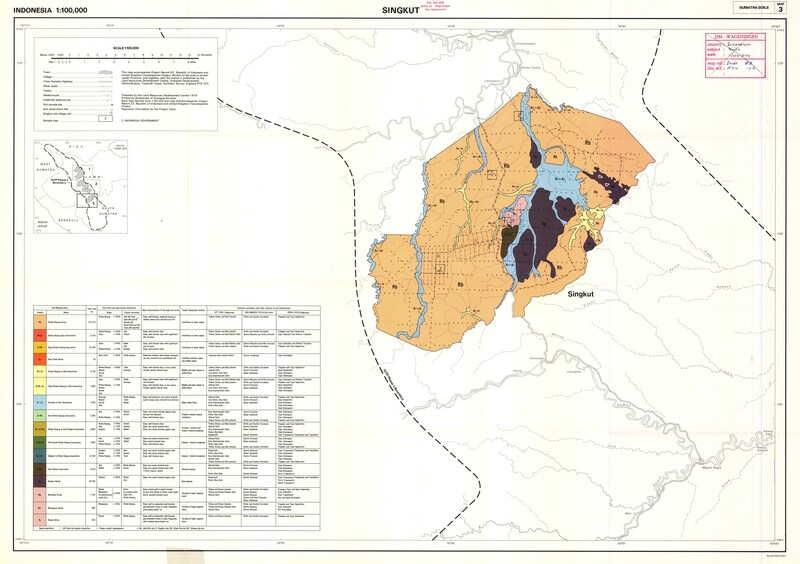 National Coordination Agency for Surveys and Mapping. Indonesia. Liputan Foto Udara Berdasarkan Sekala. Aereal Photography According to Scale. B/05/02. Indonesia. Pembagian Administrasi Pemerintahan Negara Republik Indonesia. Ibukota Negara: Jakarta. 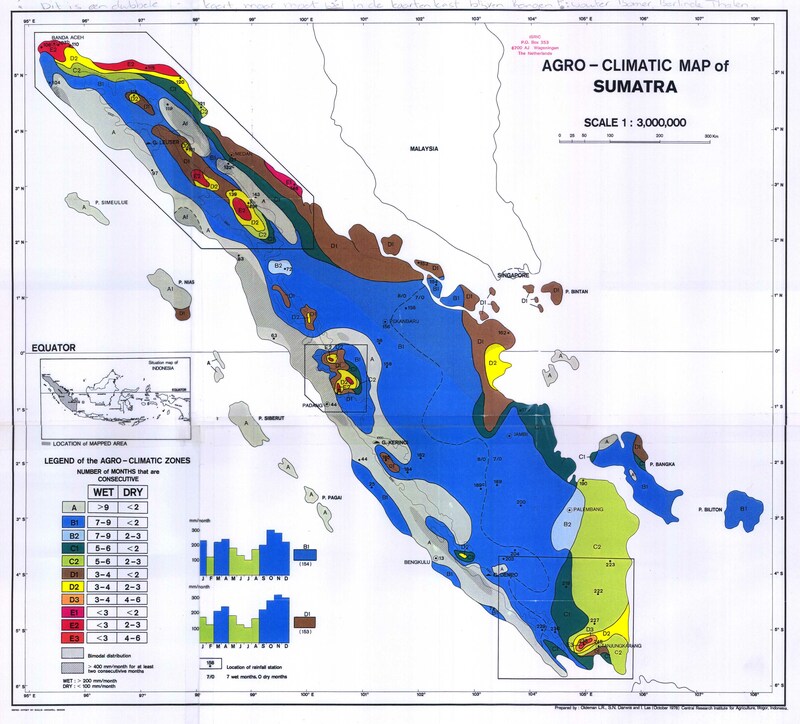 Agro-Climatic Map of Maluku and Irian Jaya. Central Research Institute for Agriculture, Bogor. Agro-Climatic Map of Sumatra. 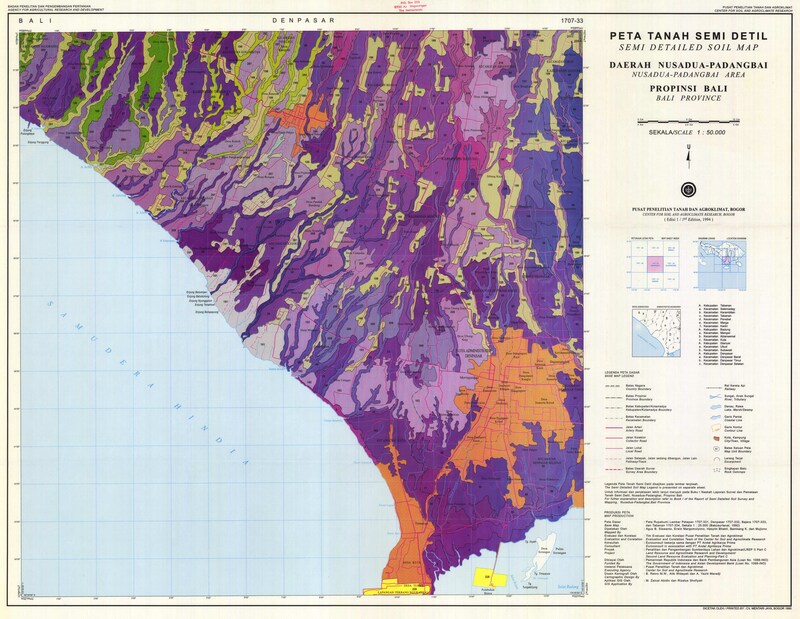 "Is a double Example, Map ID 2000.2"
Agro-Climatic Map of Aceh and North Sumatra. 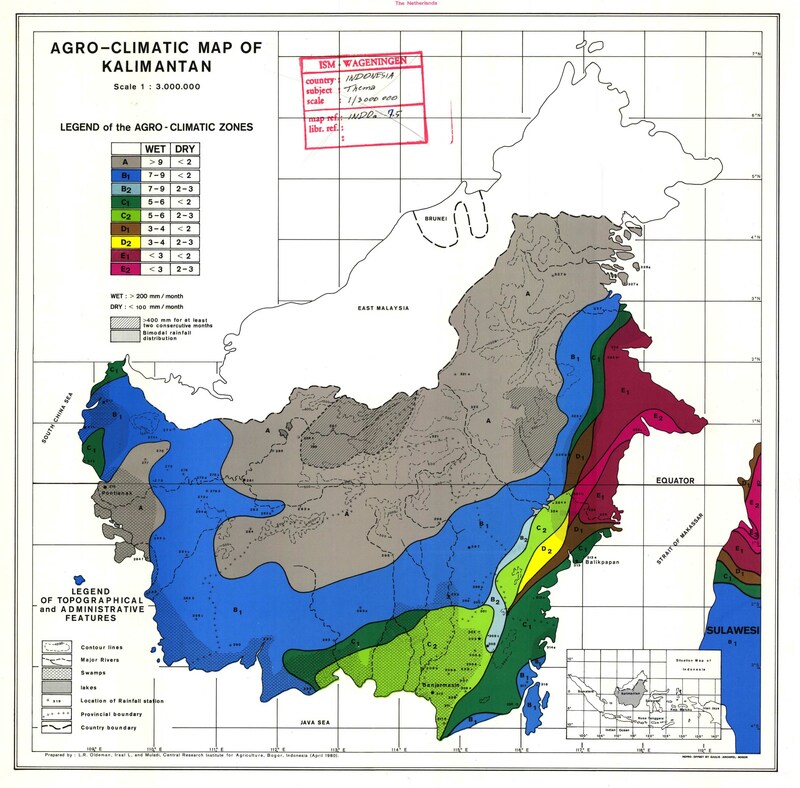 Agro-Climatic Map of Lampung and South Sumatra. 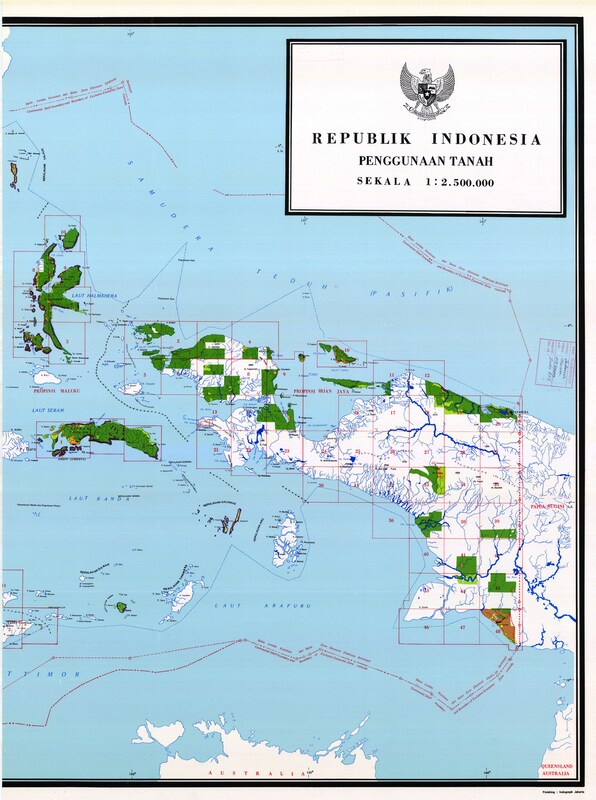 Republik Indonesia. Curah Hujan Tahunan. Direktorat Tata Guna Tanah Direktorat Jenderal Agraria. 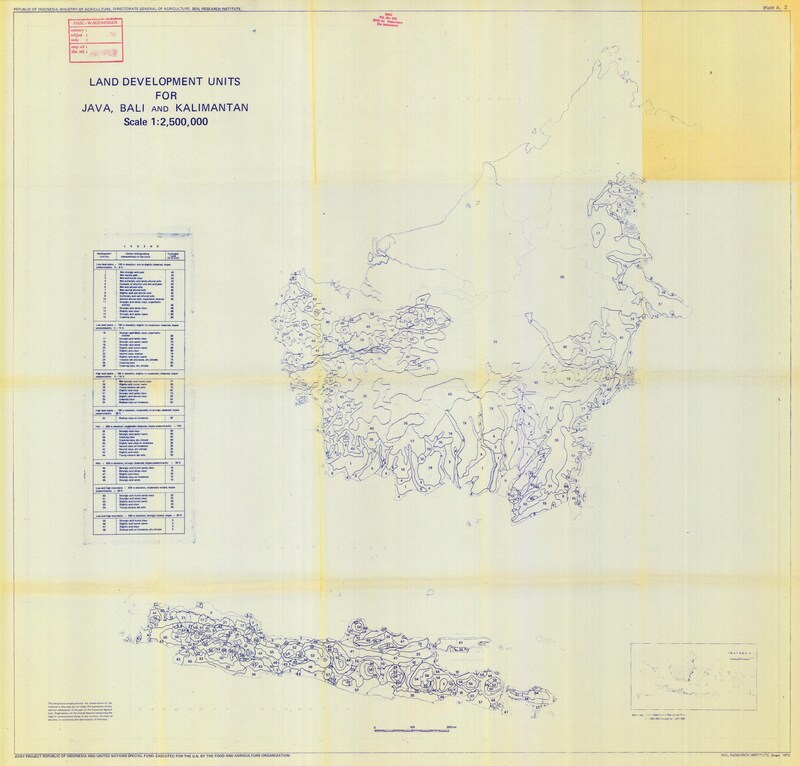 Land Development Units for Java, Bali and Kalimantan. Plate A2. 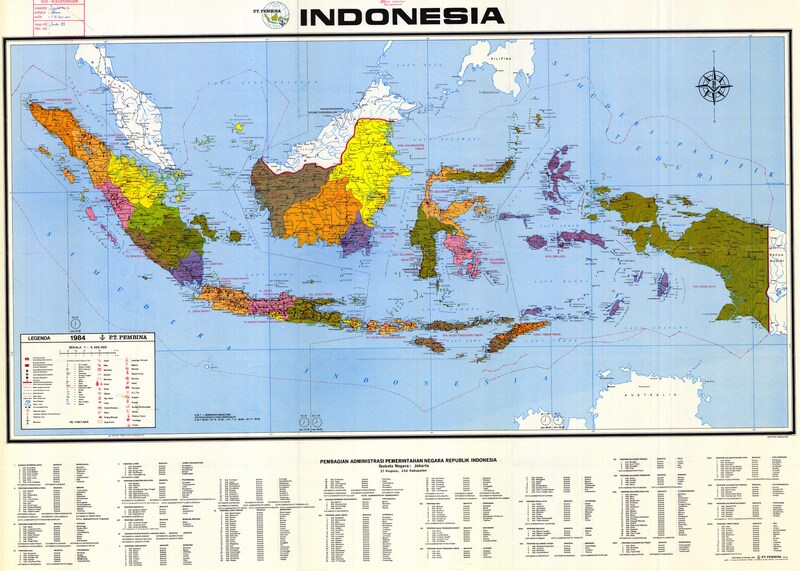 Republic of Indonesia. Ministry of Agriculture. Directorate General of Agriculture. 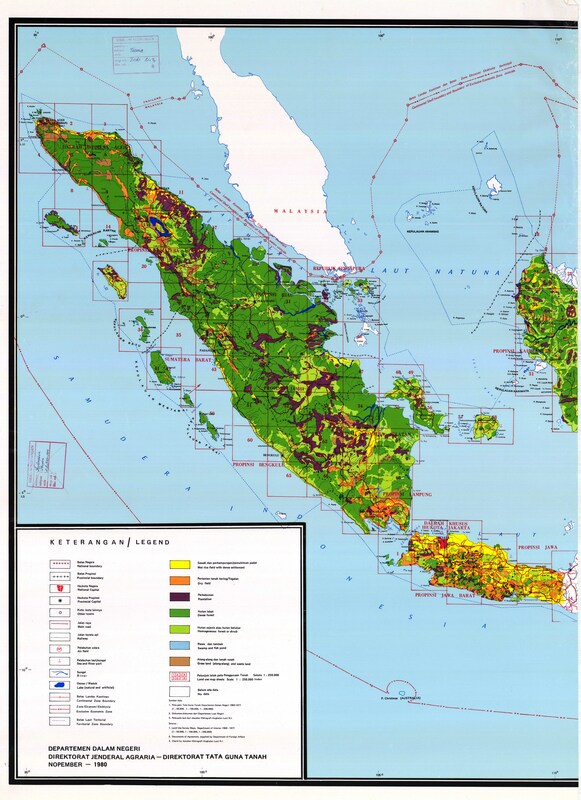 Land Development Units for Sulawesi and Nusa Tenggara. Plate A3. Land Suitability Groups for Wetland Rice for Sumatra. Plate B1. 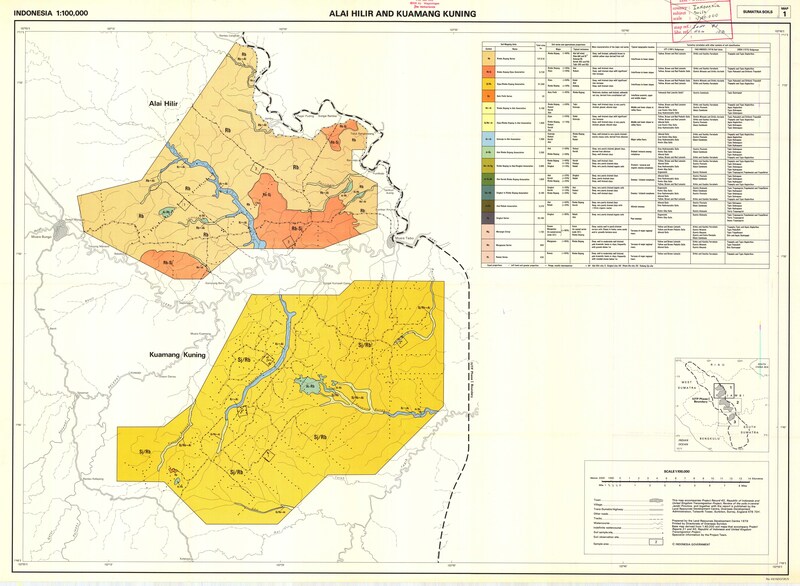 Land Suitability Groups for Wetland Rice for Java, Bali and Kalimantan. Plate B2. 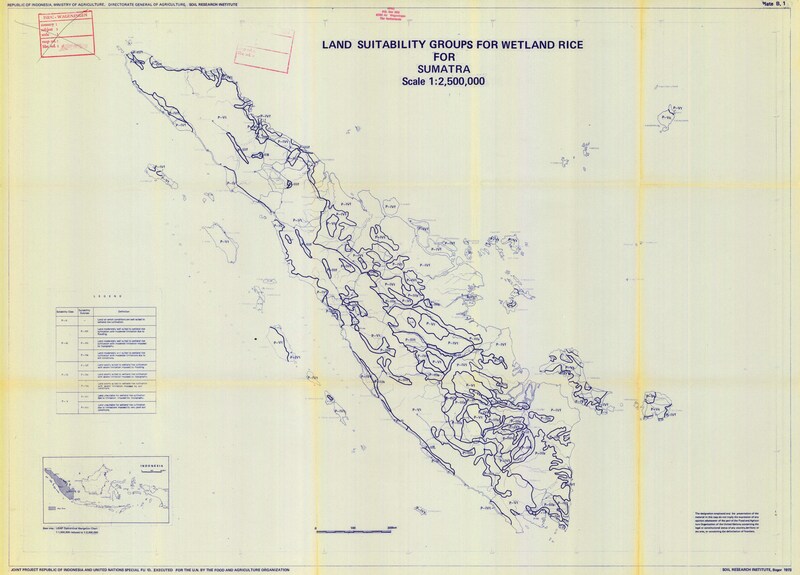 Land Suitability Groups for Wetland Rice for Sulawesi and Nusa Tenggara. Plate B3. 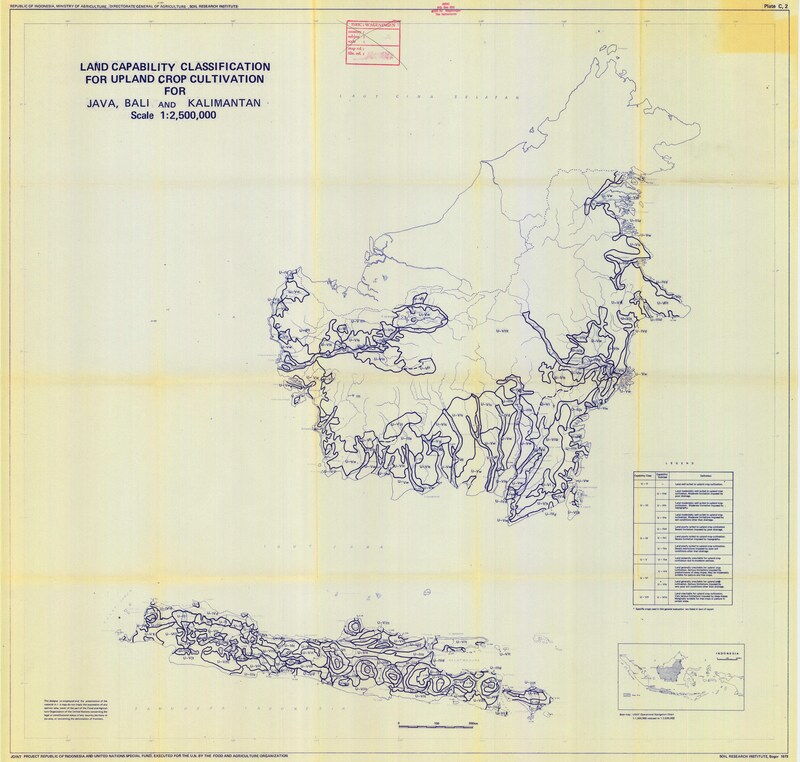 Land Capability Classification for Upland Crop Cultivation for Sumatra. Plate C1. 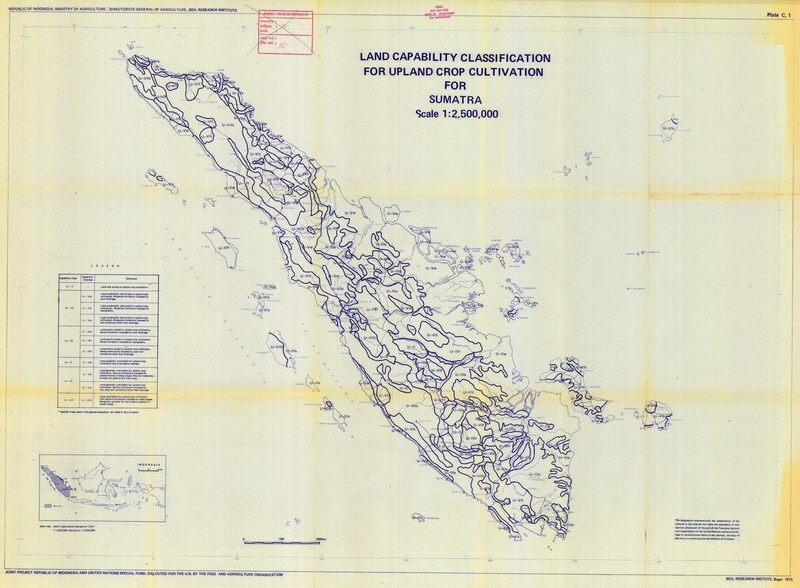 Land Capability Classification for Upland Crop Cultivation for Java, Bali and Kalimantan. Plate C2. 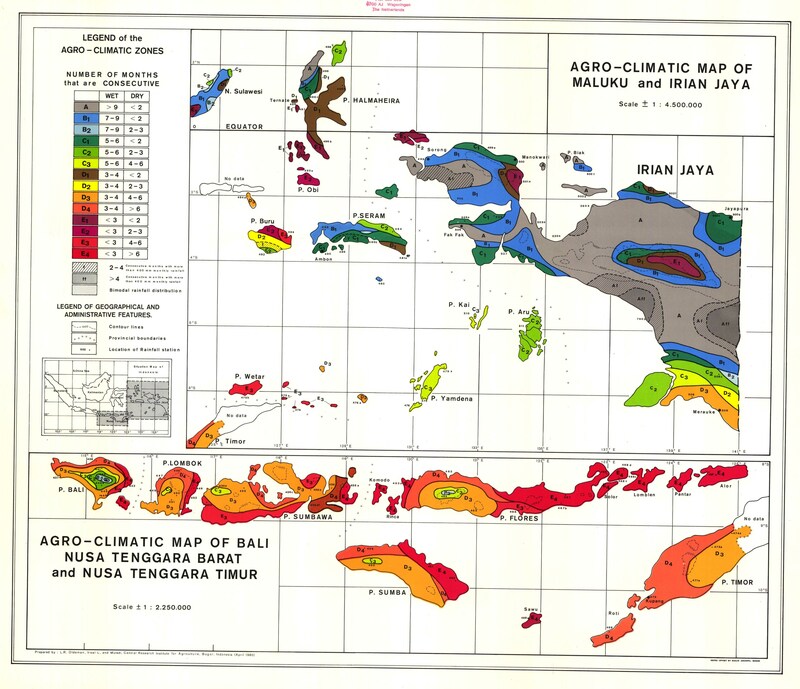 Soil Associations of Java, Madura and Bali. 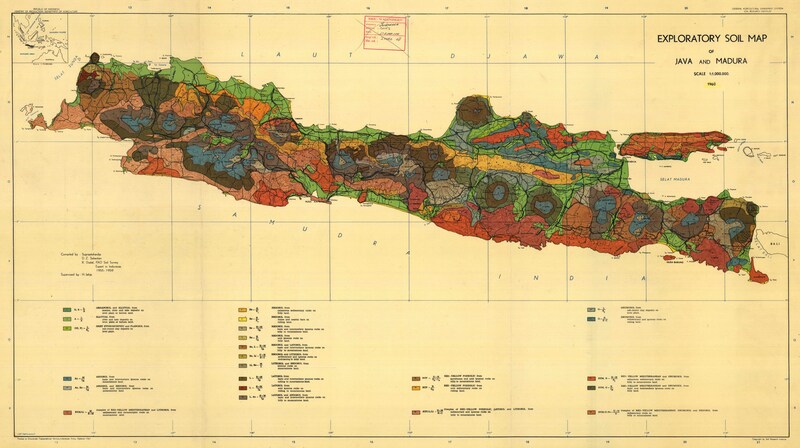 GS 1724-C.
Exploratory Soil Map of Java and Madura. GS 1581. 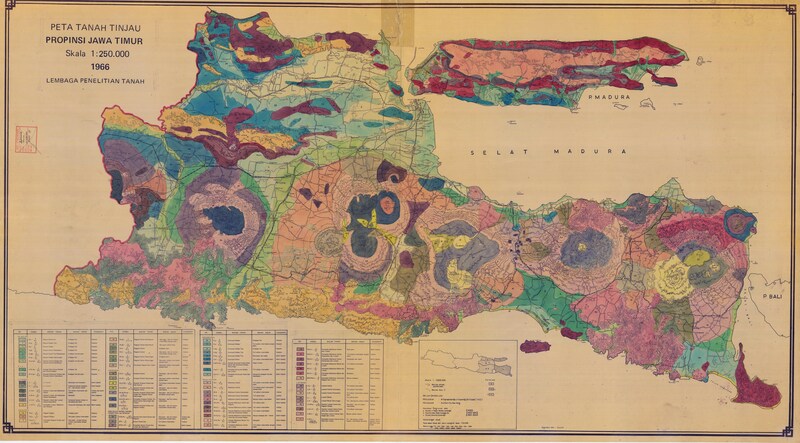 Exploratory Soil Map of Java and Madura. 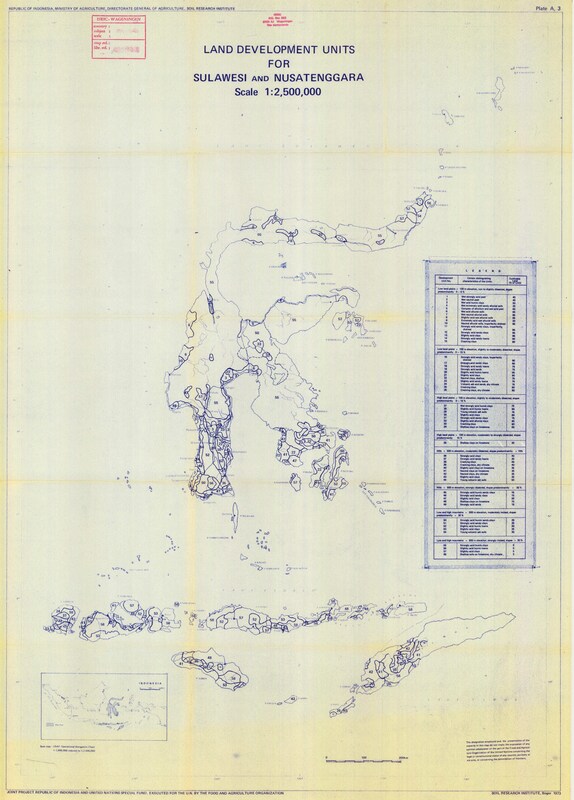 Directorate Topographical Service, Indonesian Army, Djakarta. 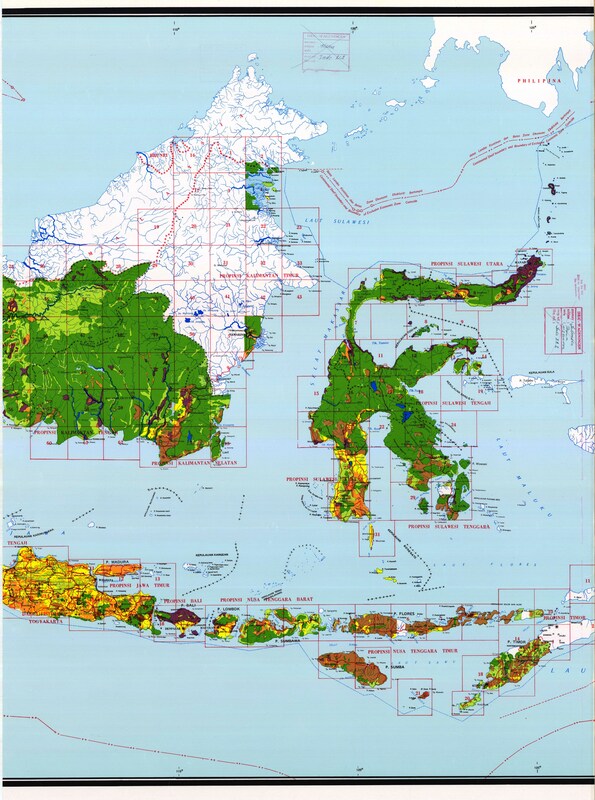 Land Use Map of Java and Madura. 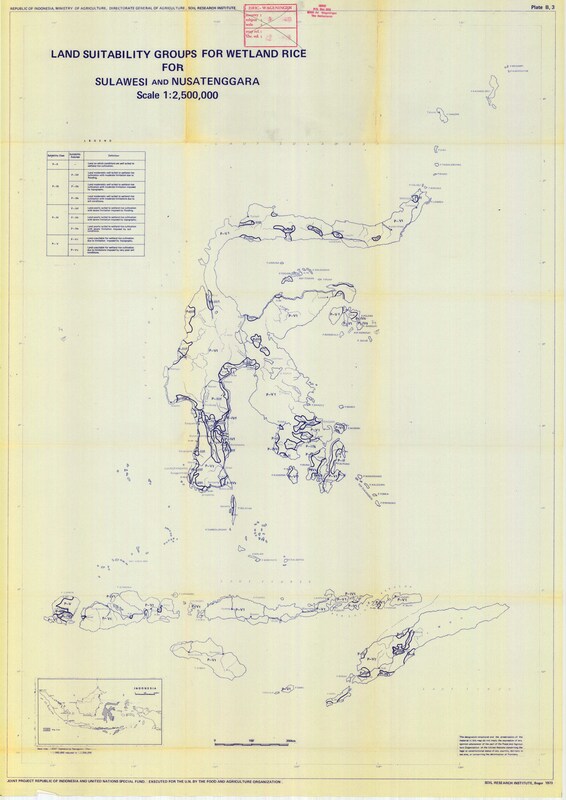 Overzichtskaart van het Eiland Sumatra. Overzicht van de Politieke Indeeling van Sumatra. 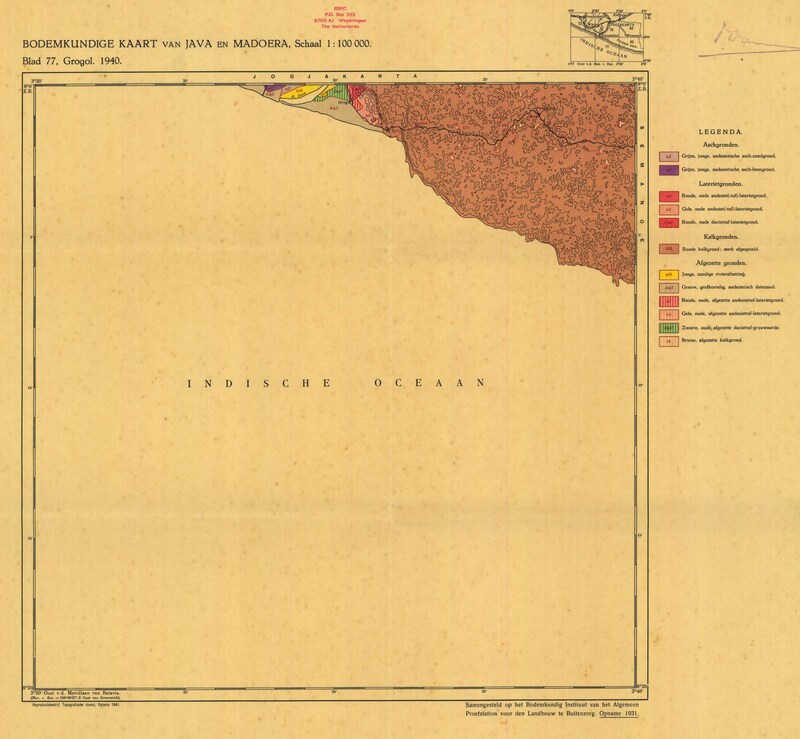 Herdruk Topografische Dienst Nederland en Koninklijk Instituut voor de Tropen. 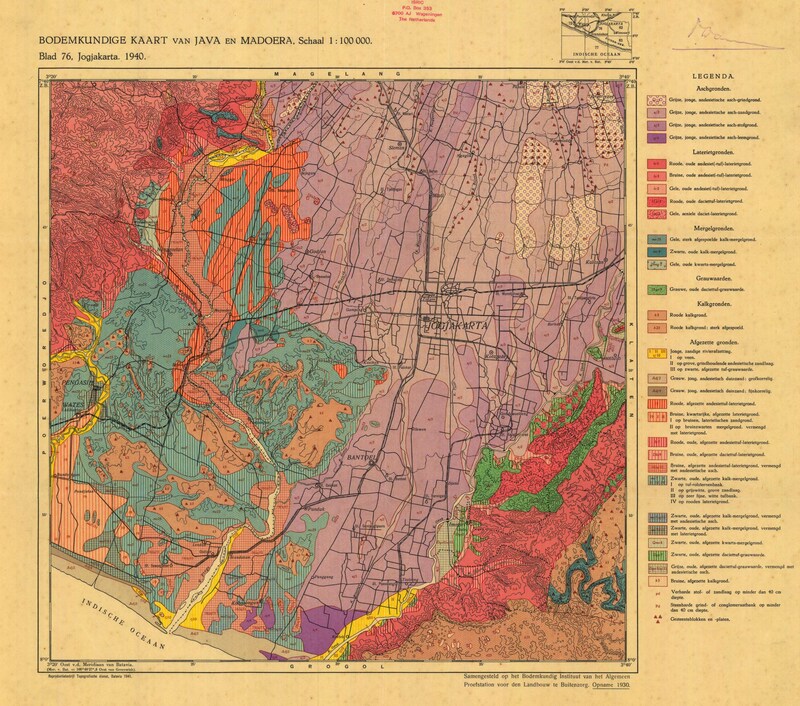 Geologische Overzichtskaart van den Nederlandsch Oost-Indischen Archipel (Vogelkop). Blad XIII. 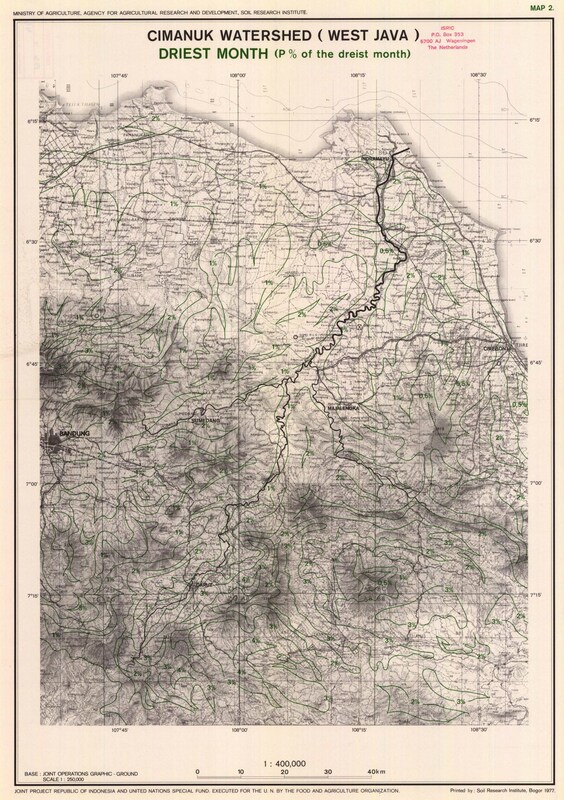 Carte Internationale du Tapis V�g�tal et des Conditions �cologiques. Sumatra Sud. 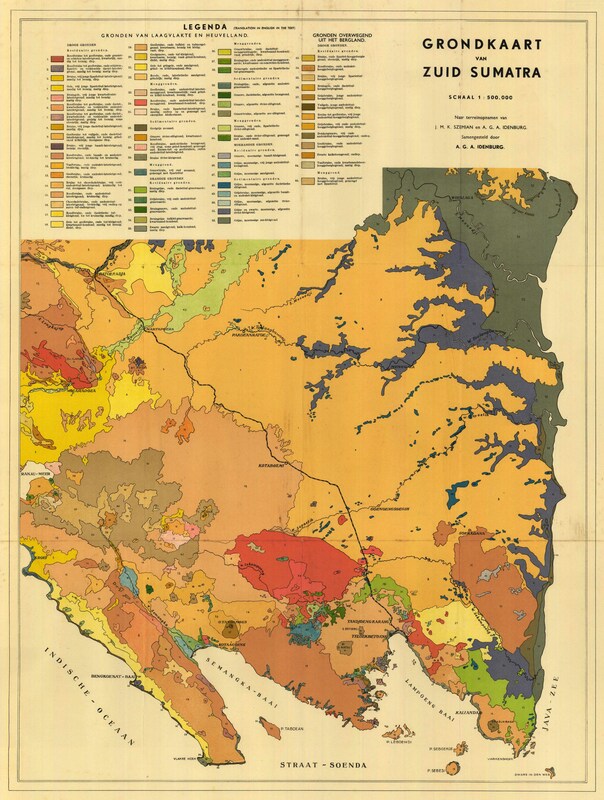 [International Map of the Vegetation and the Environmental Conditions. 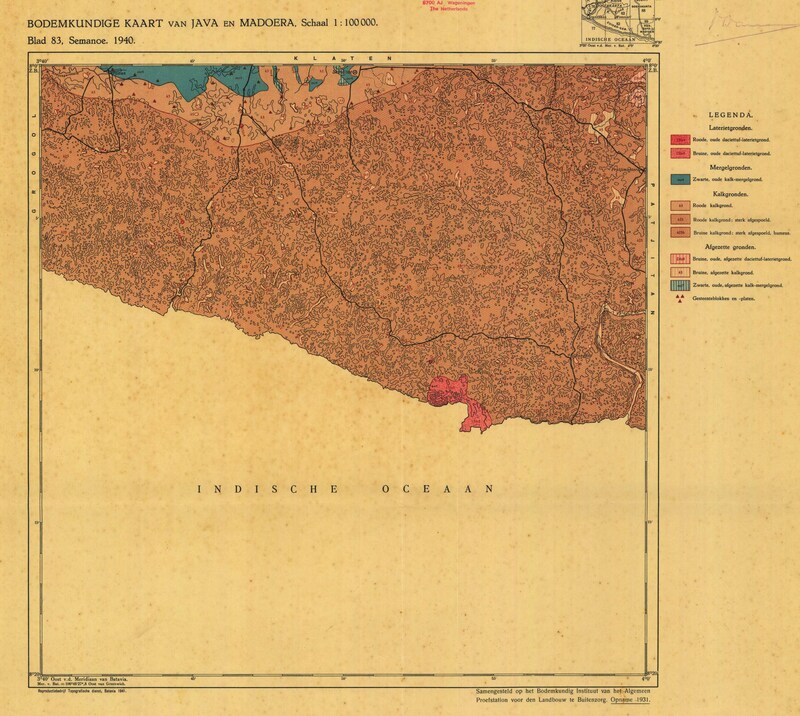 Southern Sumatra]. Sheet no. 1. Carte Internationale du Tapis V�g�tal et des Conditions �cologiques. Sumatra Centre. 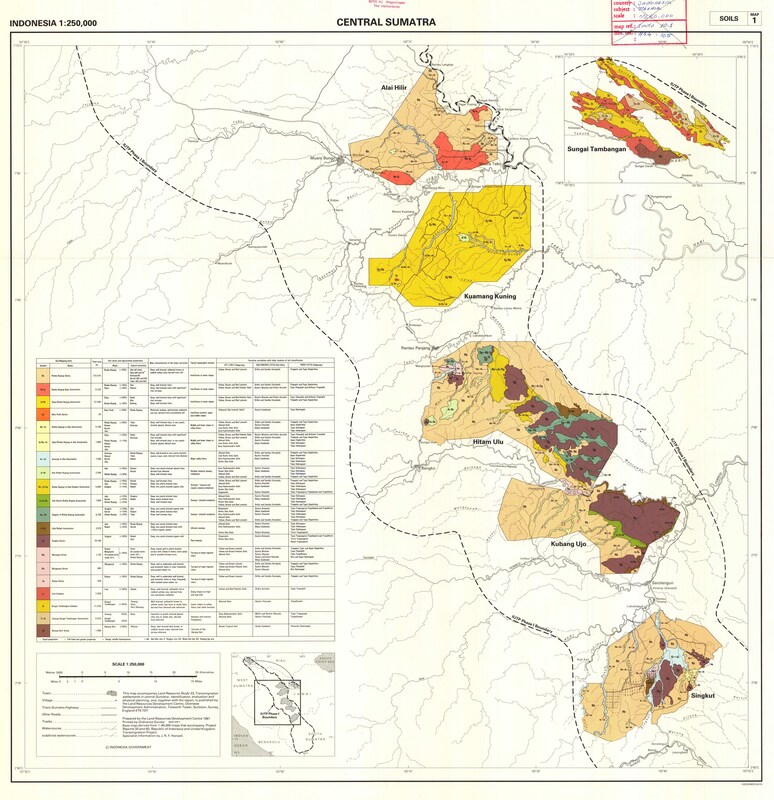 [International Map of the Vegetation and the Environmental Conditions. 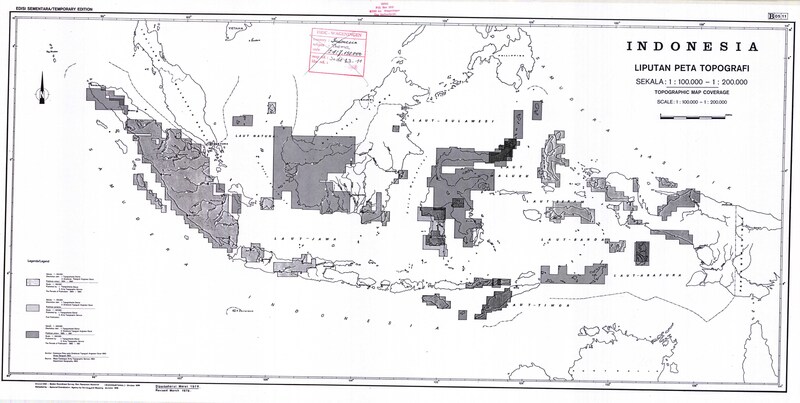 Central Sumatra]. Sheet no. 2. 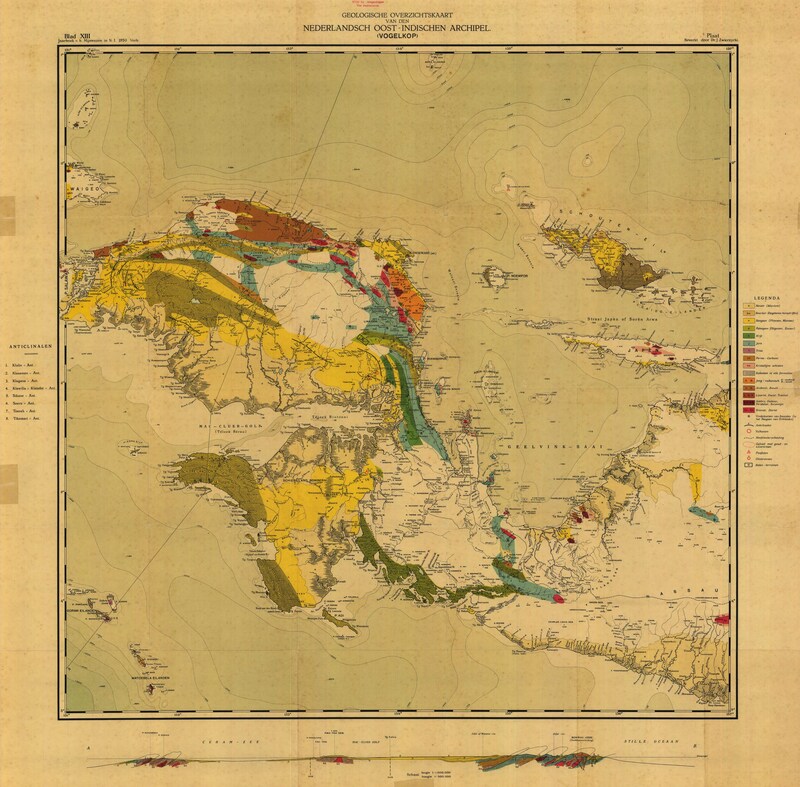 Carte Internationale du Tapis V�g�tal et des Conditions �cologiques. 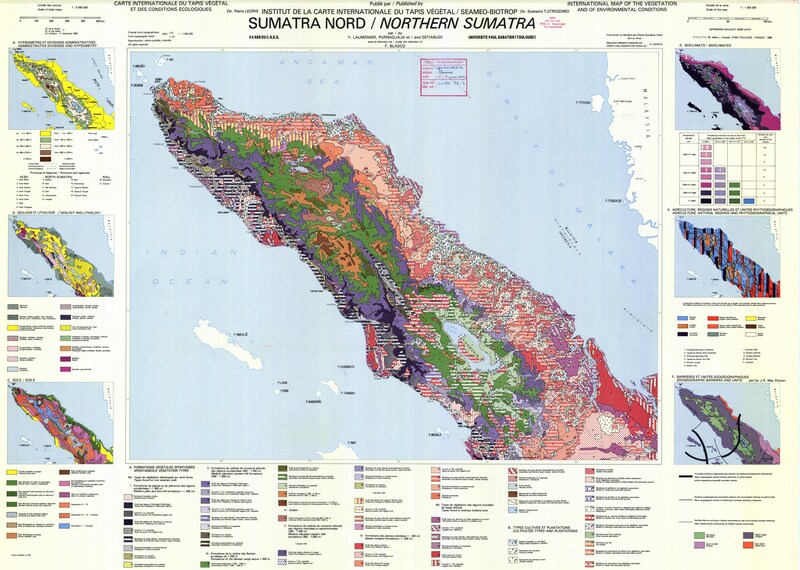 Sumatra Nord. 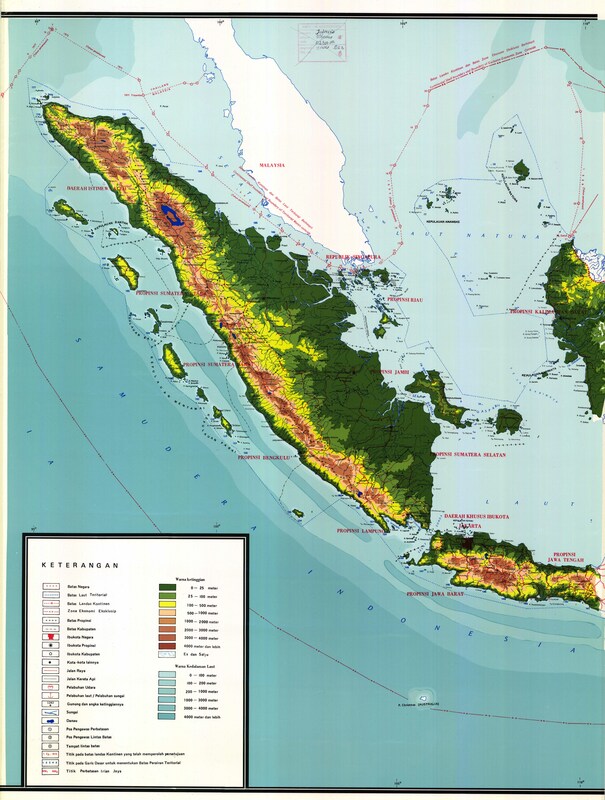 [International Map of the Vegetation and the Environmental Conditions. 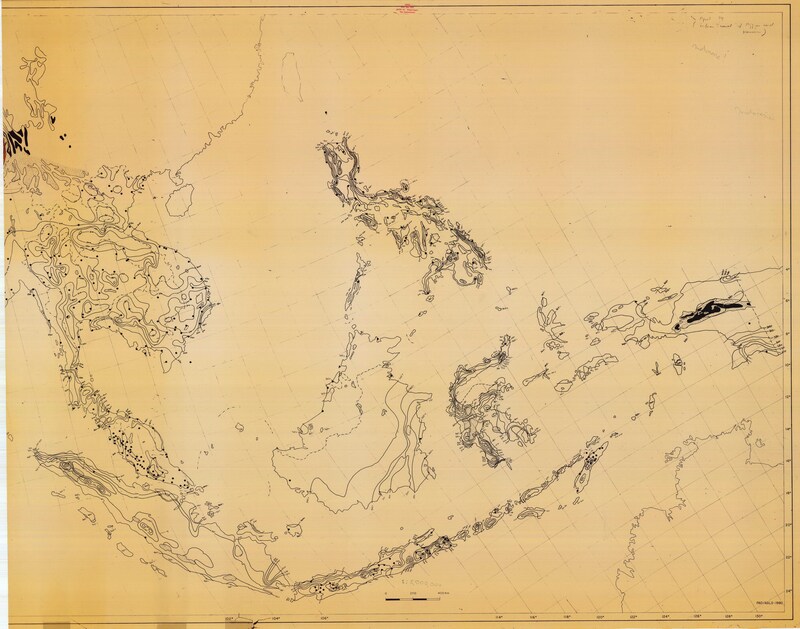 Northern Sumatra]. Sheet no. 3. Zuid Sumatra. Routekaart en Bemonsteringsnet van de Bodemkundige Opname. G.W. van der Wiel, Arnhem. Peta Tanah Tinjau. Propinski Jawa Timur. Lembaga Penelitian Tanah. 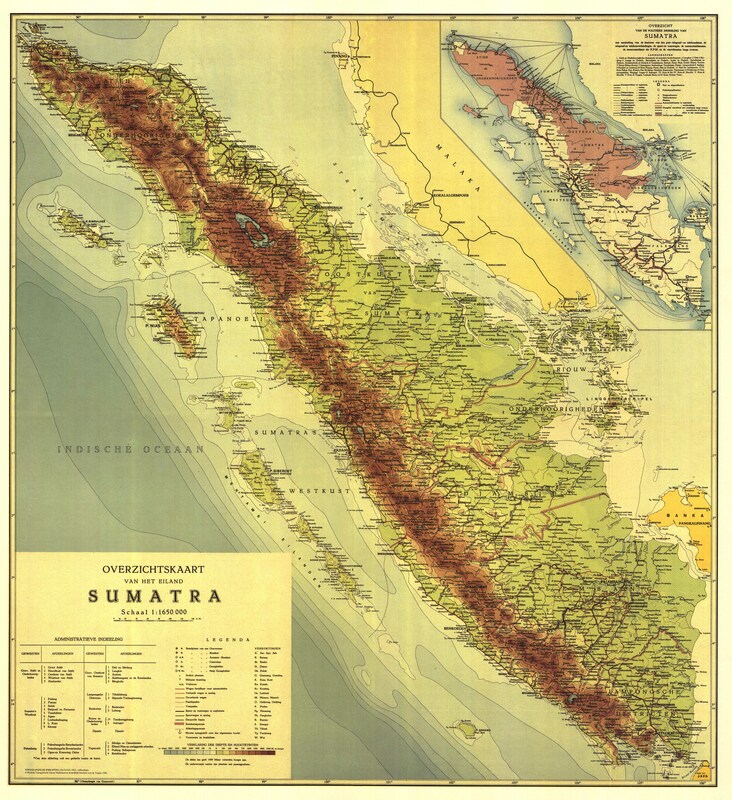 Central Sumatra. Indonesia. Soils. Map 1. Land Resources Development Centre, Overseas Development Administration, Tolworth, Subition, Surrey, England, KT6 7DY. Central Sumatra. Indonesia. Land Suitability. Map 2. Kuamang Kuning, Central Sumatra. Indonesia. Physical Plan. 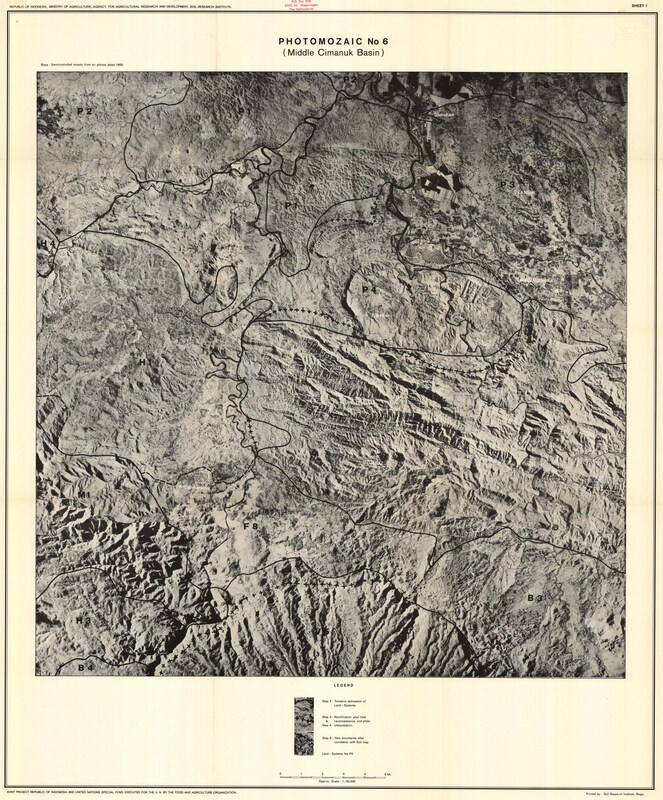 Map 3. 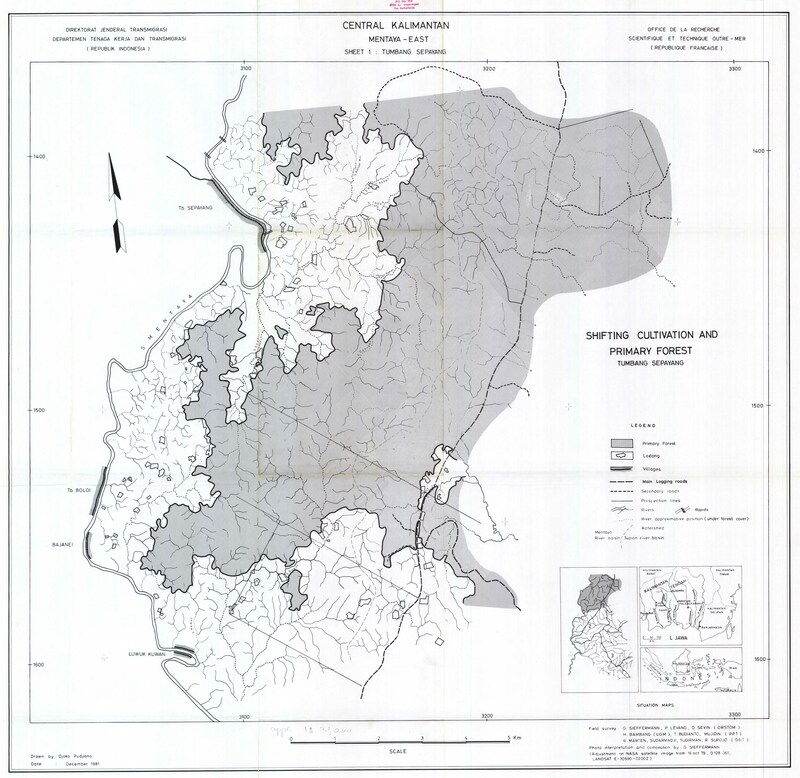 Cimanuk Watershed (West Java). Isohyetal Map (mm). Map 1. Trust Fund of the Government of Indonesia. FAO, Bogor. 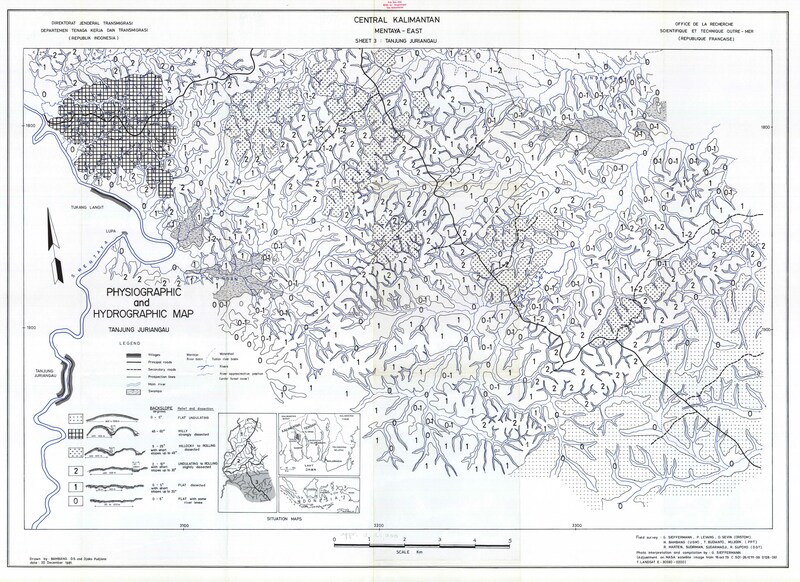 Cimanuk Watershed (West Java). Driest Month (P% of the Driest Month). Map 2. Cimanuk Watershed (West Java). Rainest Month. 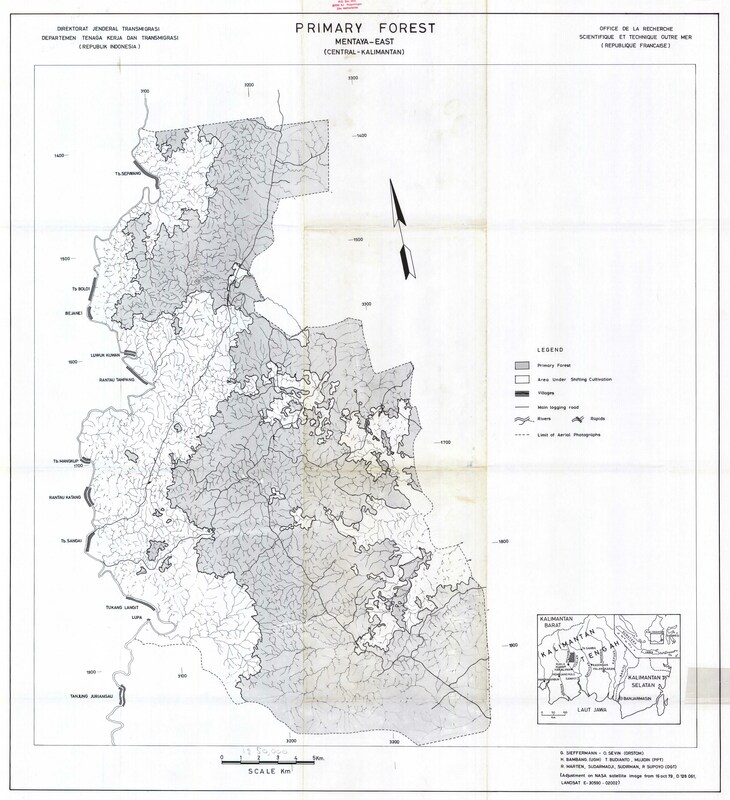 Map 3. 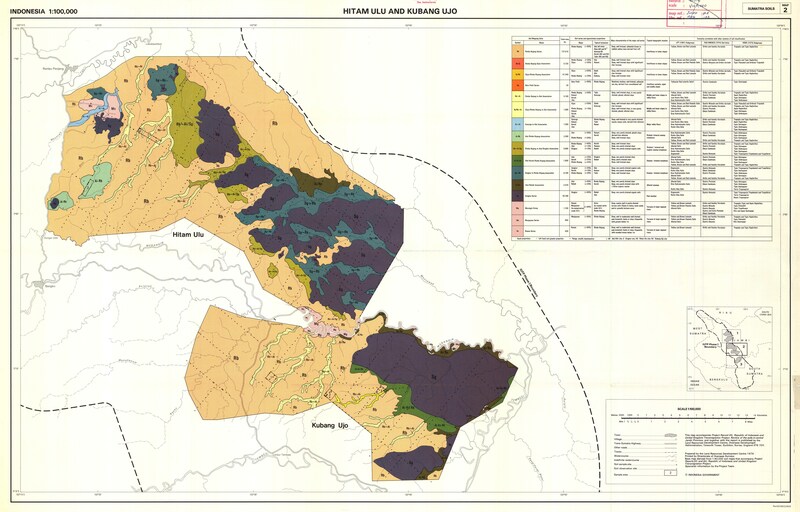 Cimanuk Watershed (West Java). Rainfall equence Types. 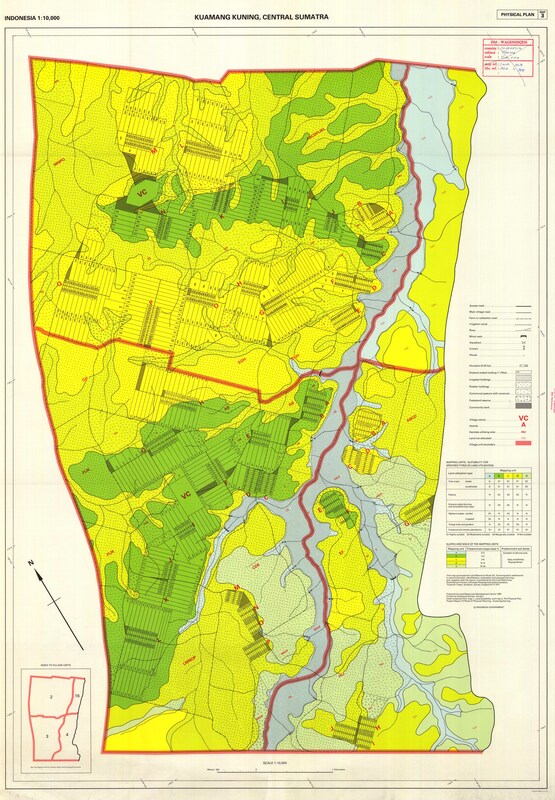 Map 4. Bodemkundige Kaart van Java en Madoera. Blad 76, Jogjakarta. Bodemkundige Kaart van Java en Madoera. Blad 77, Grogol. Bodemkundige Kaart van Java en Madoera. Blad 83, Semanoe. Alai Hilir and Kuamang Kuning. 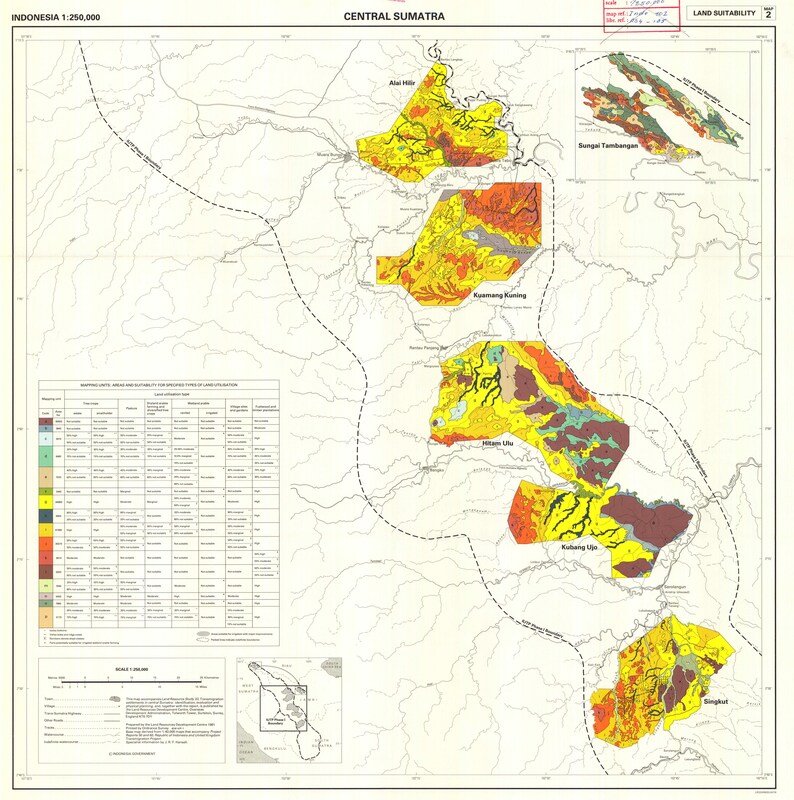 Sumatra Soils. Map 1. Hitam Ulu and Kubang Ujo. 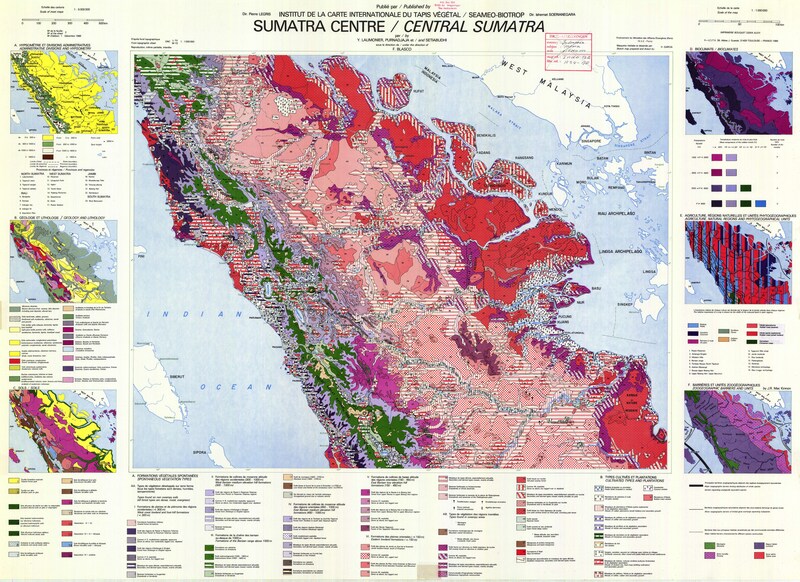 Sumatra Soils. Map 2. Singkut. 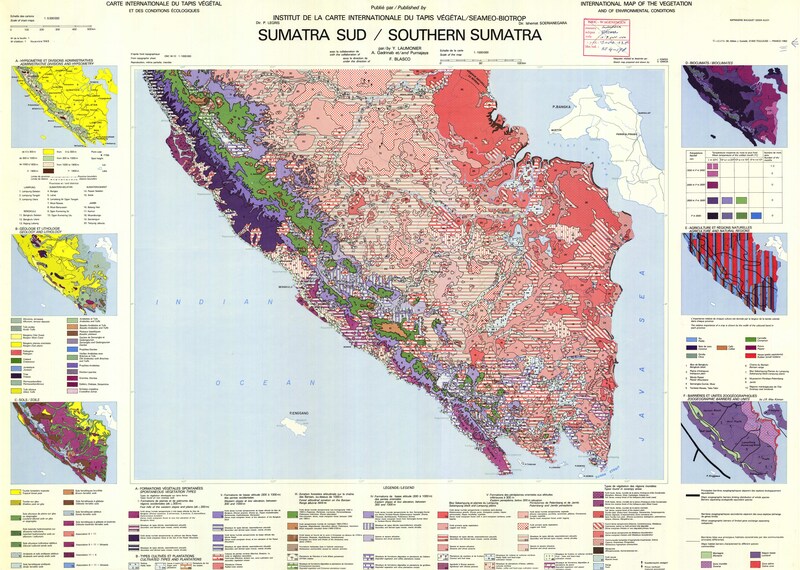 Sumatra Soils. 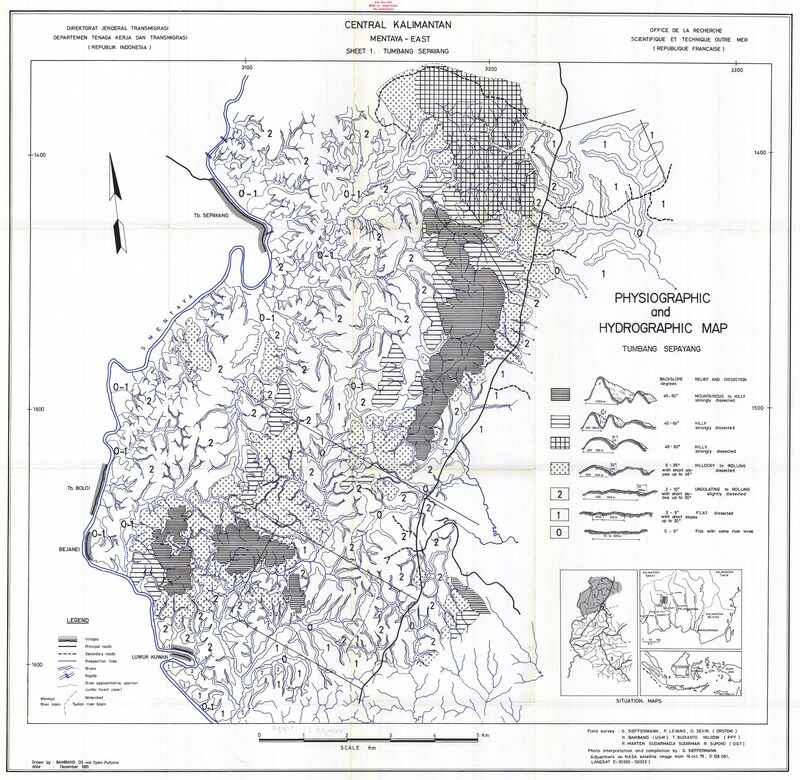 Map 3. Photomozaic No. 6. 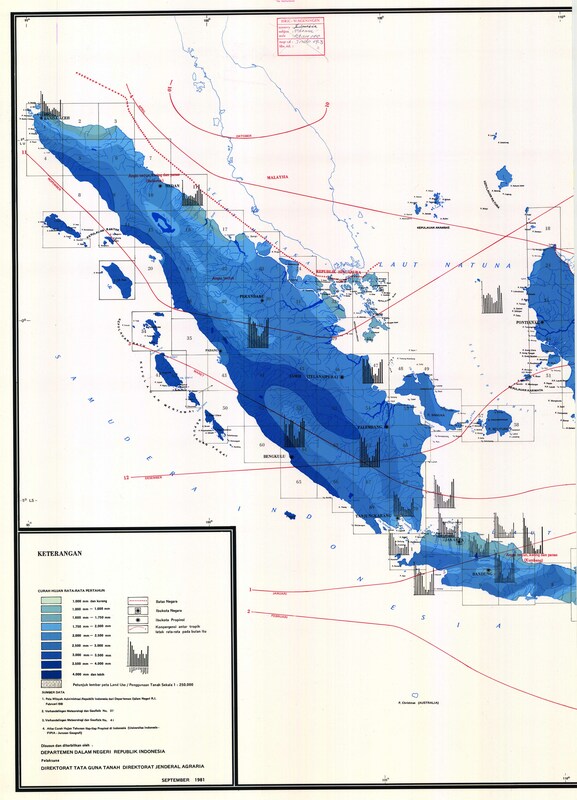 (Middle Cimanuk Basin). Sheet 1. Centre for Soil and Agroclimate Research. Departemen Tenaga Dan Transmigrasi. 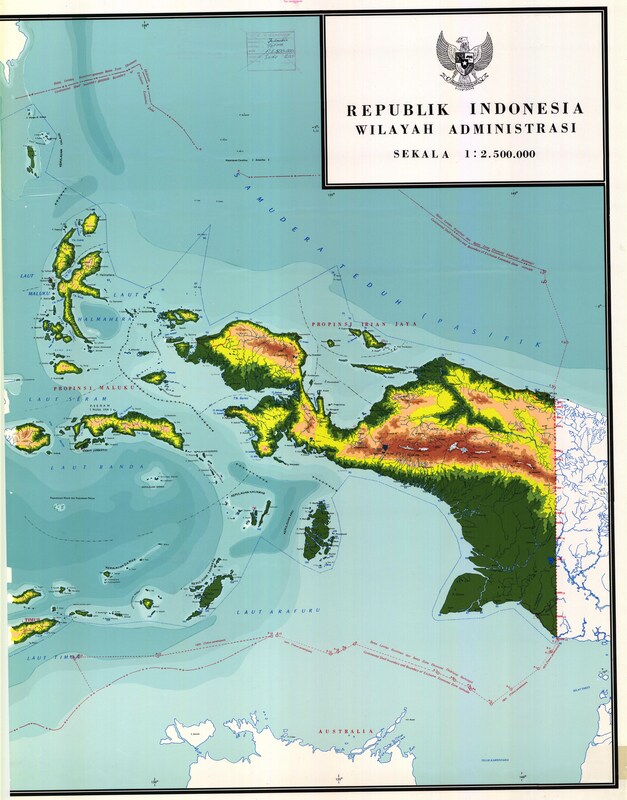 Republik Indonesia. 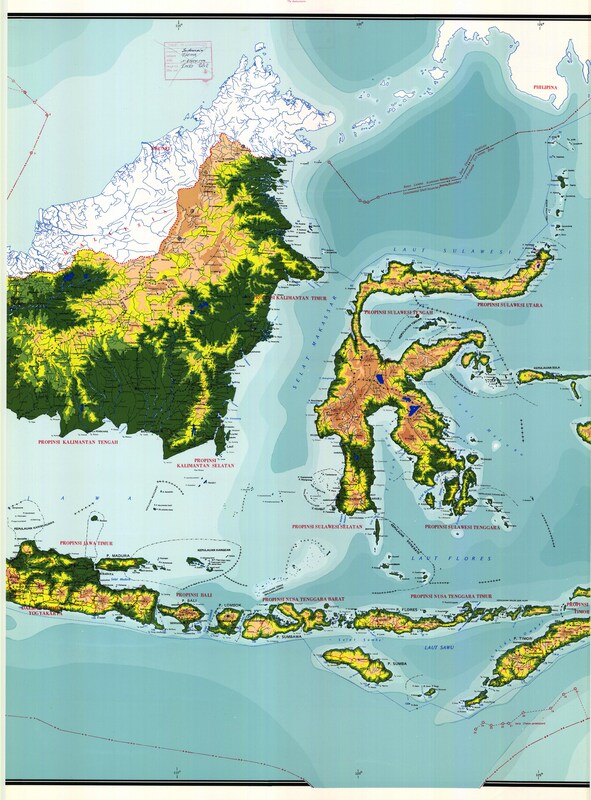 Shifting Cultivation and Primary Forest. Sheet 1. Tumbang Sepayang. 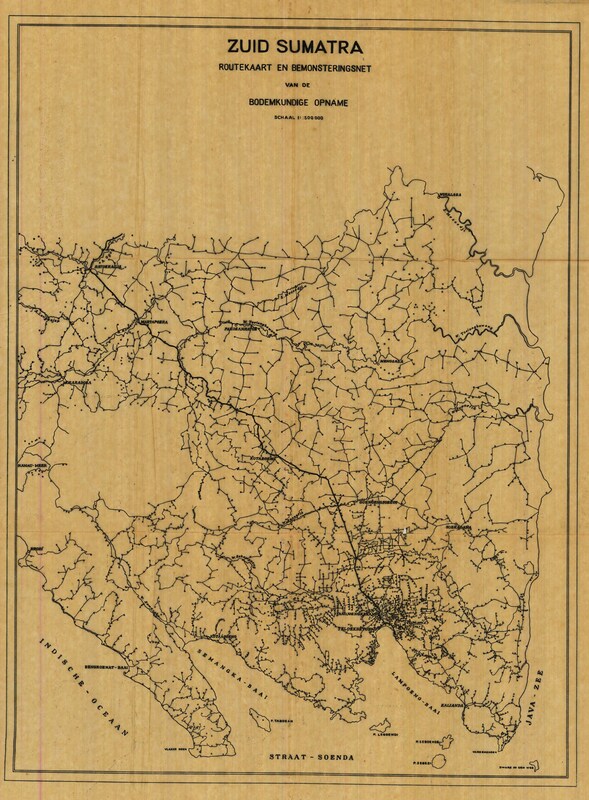 Mentaya-East.(Central-Kalimantan). 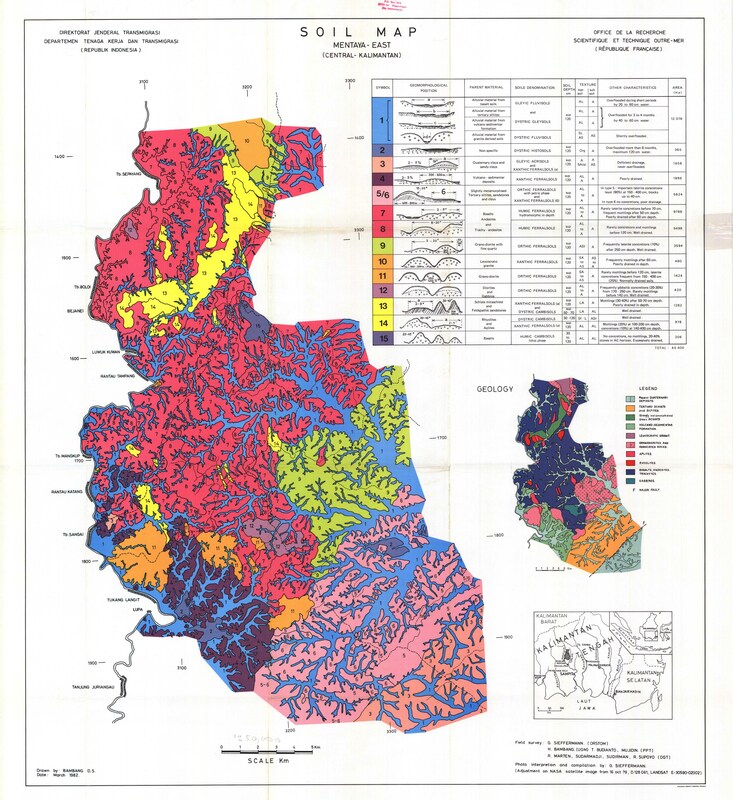 Physiographic and Hydrographic Map. Sheet 2. Tumbang Sepayang. 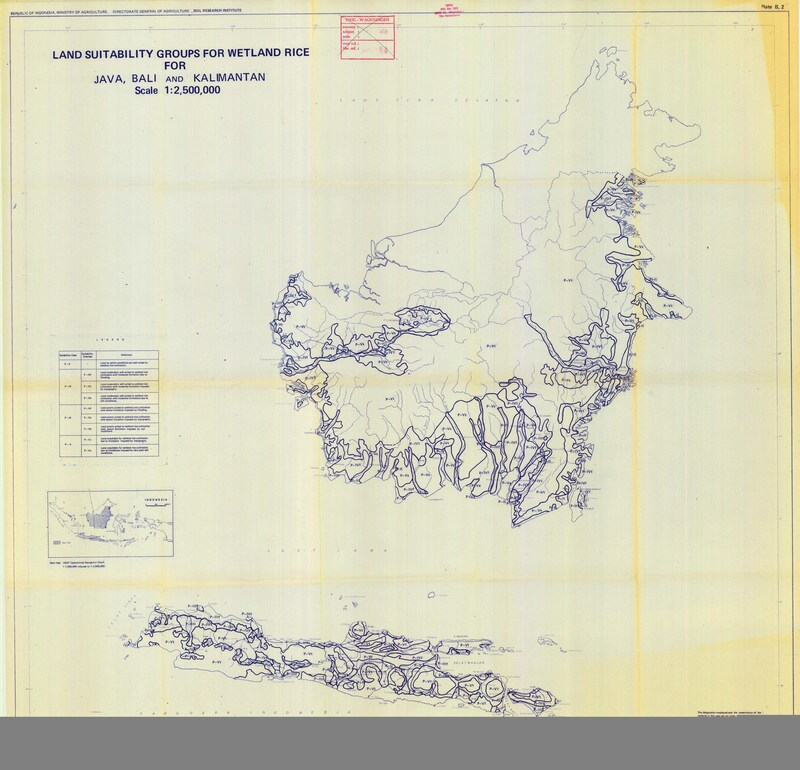 Mentaya-East.(Central-Kalimantan). 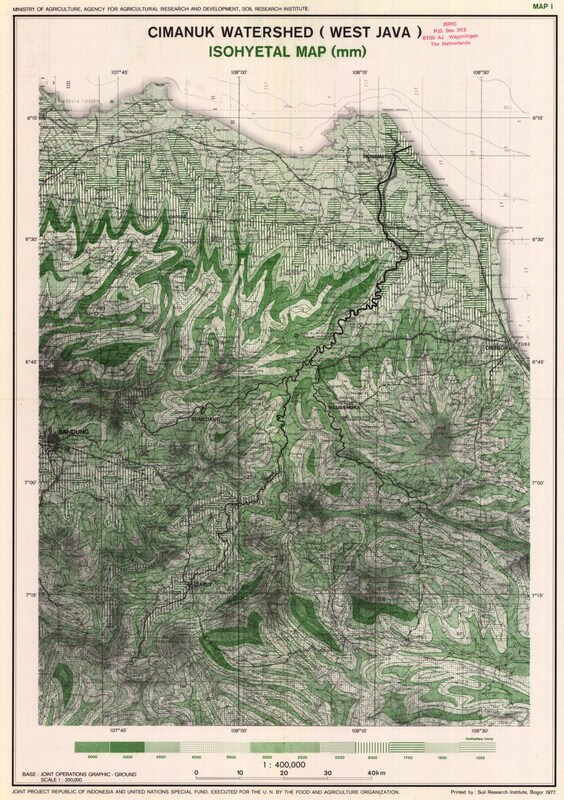 Physiographic and Hydrographic Map. Sheet 2. Tumbang Sangai. 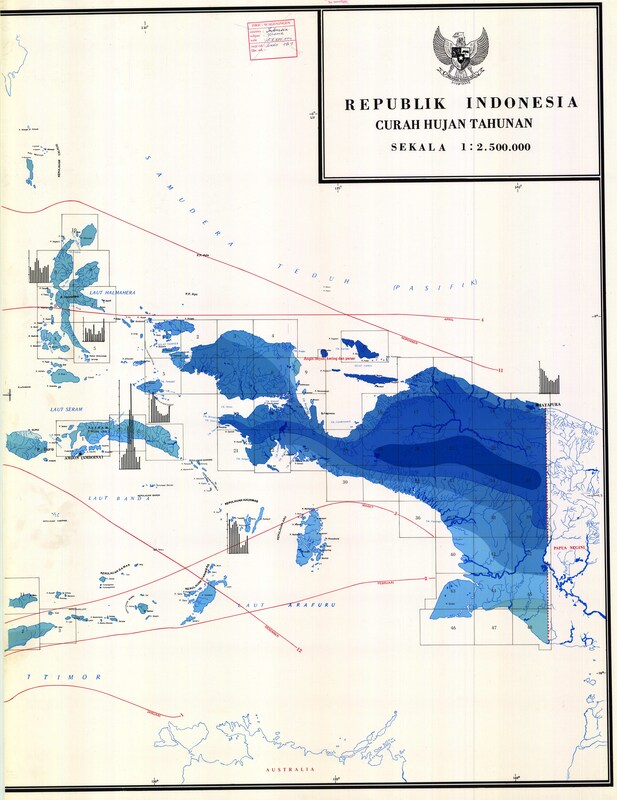 Mentaya-East.(Central-Kalimantan). 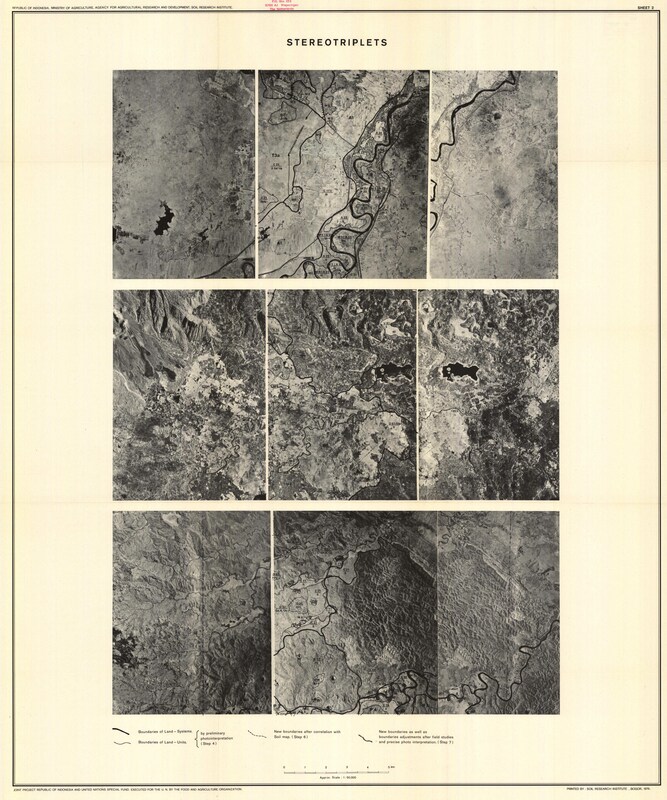 Physiographic and Hydrographic Map. Sheet 3. Tanjung Juriangau. 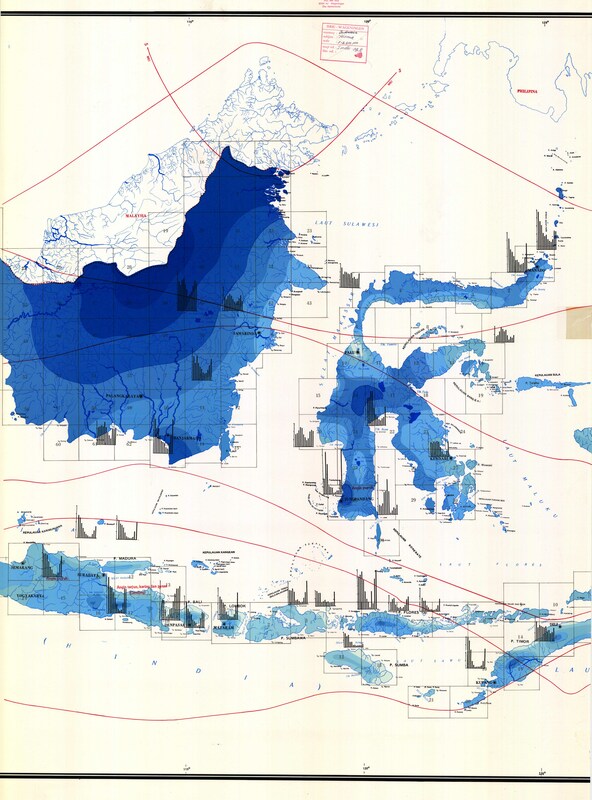 Mentaya-East.(Central-Kalimantan). Bogor. 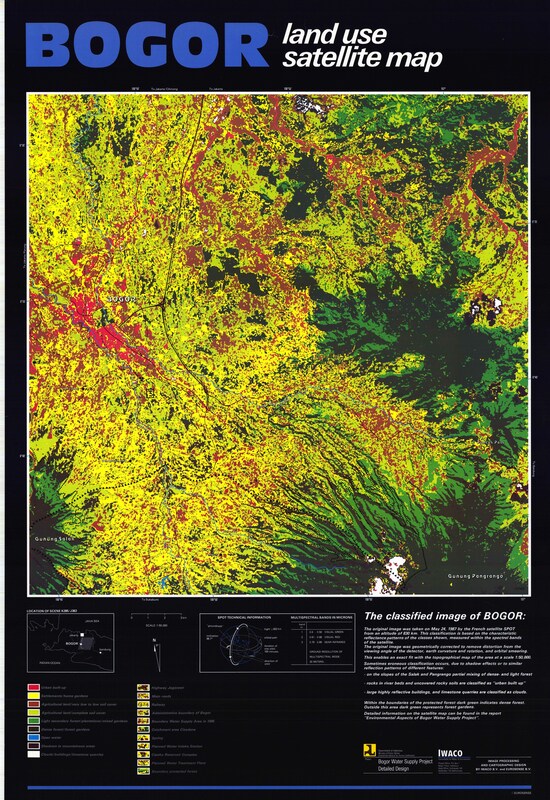 Land Use Satellite Map. Government of Indonesia. Ministry of Public Works. Directorate General for Human Settlement. 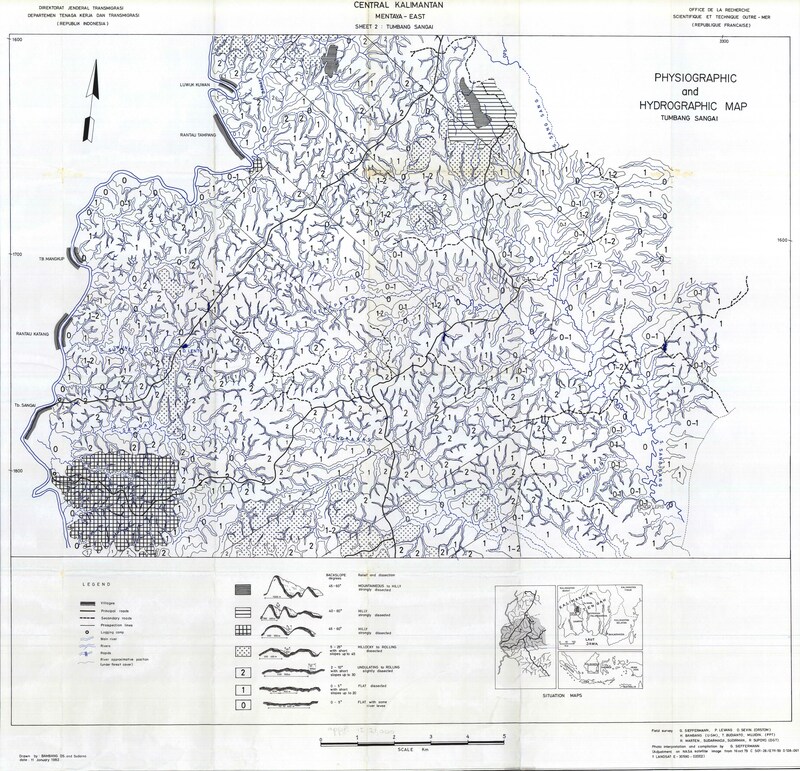 Bogor Water Supply Project Detailed Design. Citation: Selvaradjou, S-K., L. Montanarella, O. Spaargaren and D. Dent (2005). 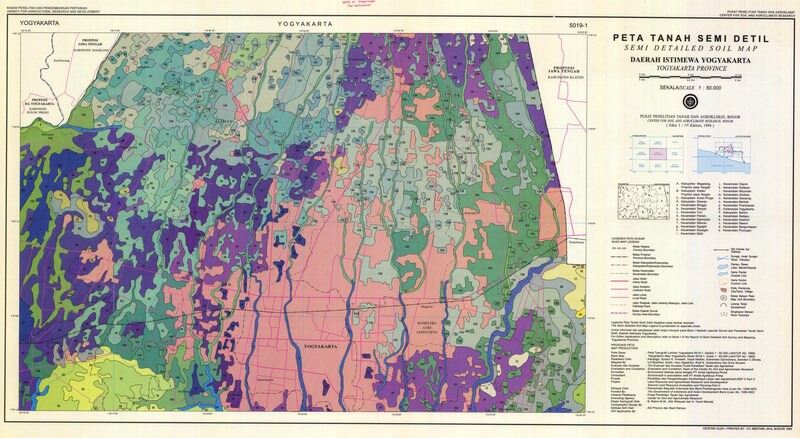 European Digital Archive of Soil Maps (EuDASM) � Soil Maps of Asia DVD-ROM version. EUR 21823 EN. Office of the Official Publications of the European Communities, Luxembourg. 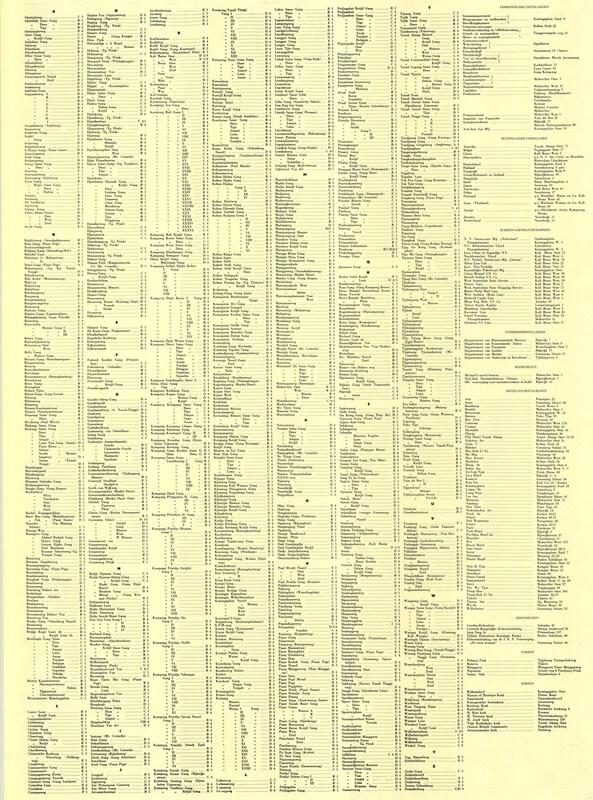 Okay, they're resized to fit the page but largely unreadable. 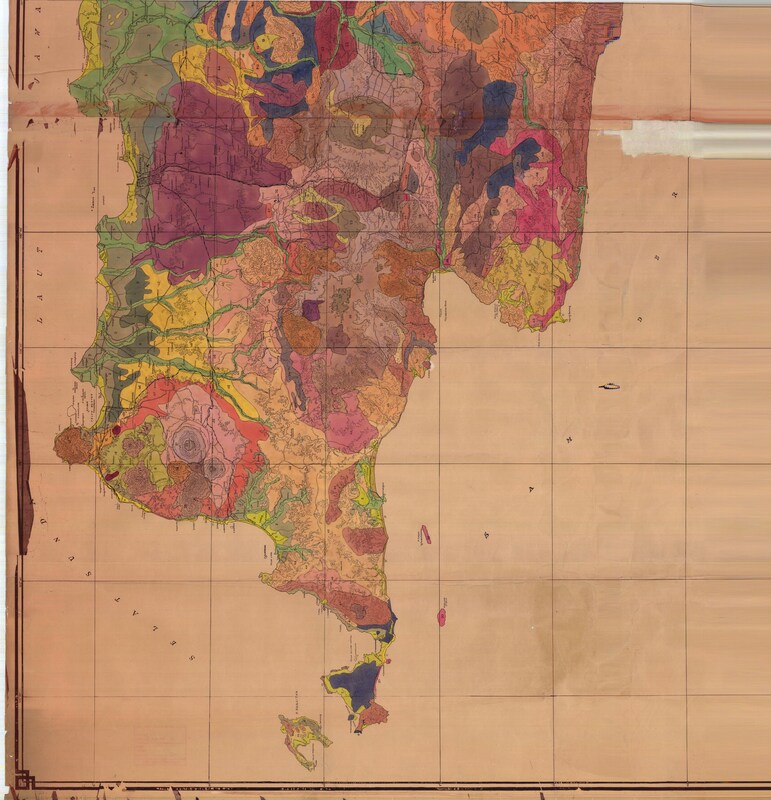 If readers want to get a better view, they can right-click on any map and choose "view image" (in Firefox) to get the full size image with readable place names. i think we just need better maps. i can get them. just need time. 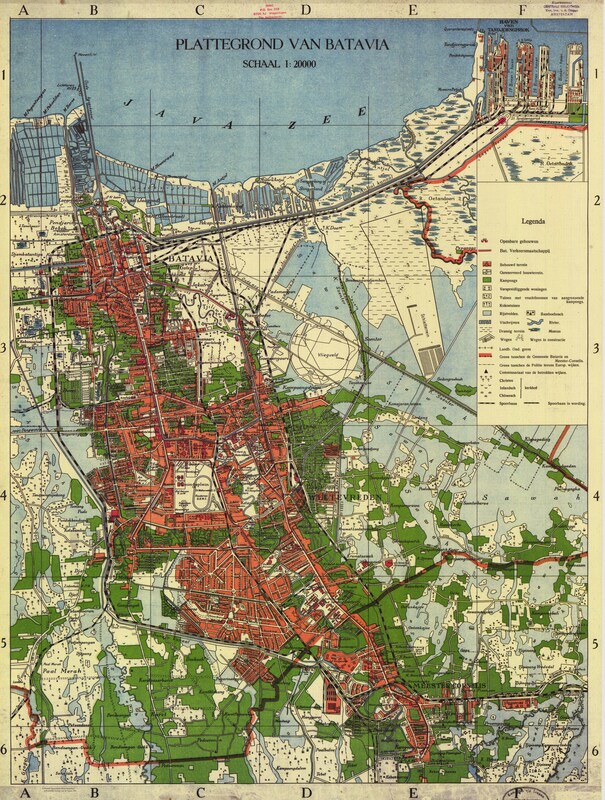 readers would find demographic maps interesting, such as the population density one already included.